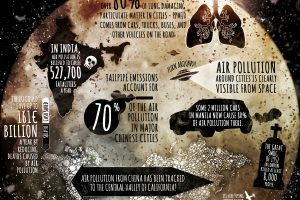 While infographics are ancient (cave paintings) the more formal appreciation of them is more recent. 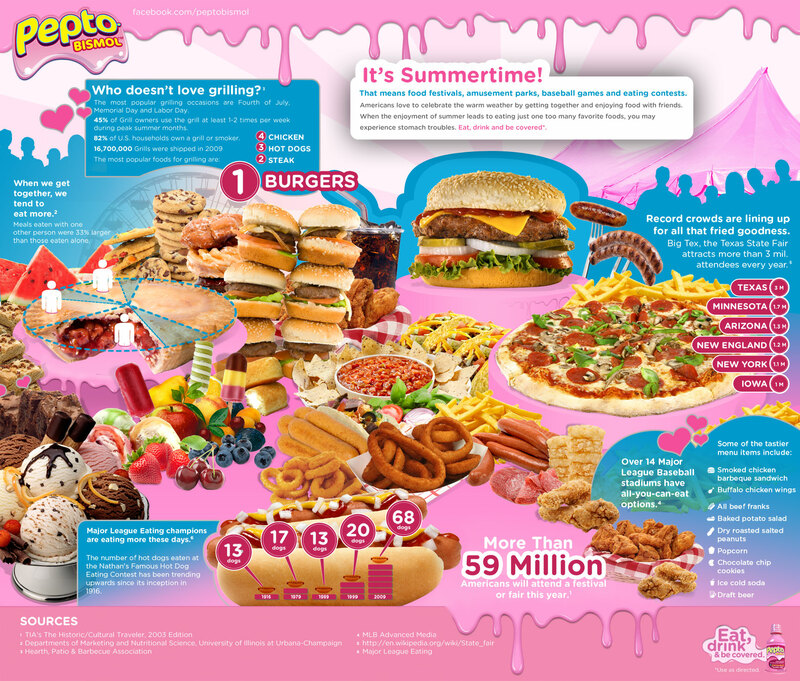 Vehicles for media such as USA Today and many internet sites such as Infographics Showcase have moved infographics to the spotlight. But it is nice to see that the roots of graphics and information go back at least 60 years as can bee seen in this Whiskey Infographic. It shows all of the necessary steps from corn kernel to alcohol. Information and graphic could be better partnered, but with so much information about a complicated procedure, you can see how the two pieces would have trouble working seamlessly. Also consider the times and the technology. The very fact that the text conforms t the shape of the graphic is impressive. All in all a great piece of work. Anyone would have little trouble understanding the basics of whiskey distillery after looking this over for a minute or two. Always the sign of a successful infographic. 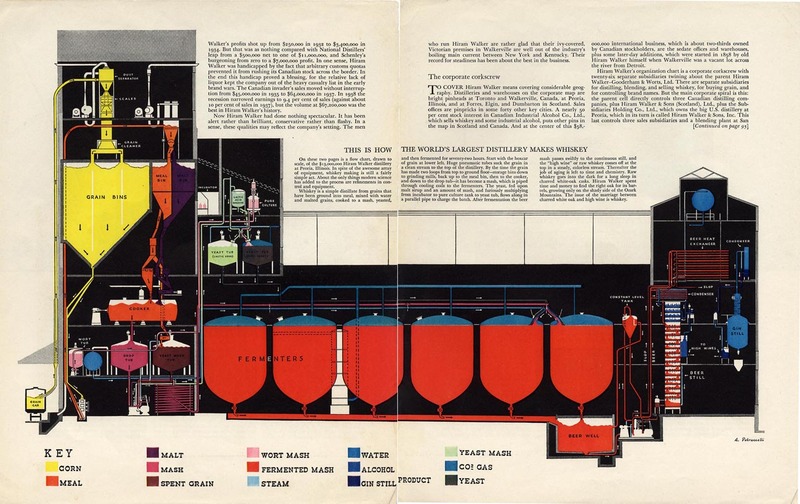 Vintage infographic of Hiram Walker’s whiskey distillery from Forbes magazine circa 1942. 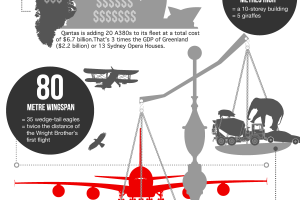 Previous Previous post: Howard Hughes – Infographic or Timeline?